Sequel to the mega blockbuster Monster Hunt continues as monster king Wuba embarks on his own journey after departing with his human parents Yin (Jing Boran) and Nam (Bai Baihe). A new dark lord arises and swears to eliminate the only heir of the monster kingdom, forcing Wuba to take another exile. He befriends gambler Gu (Tony Leung Chiu-wai) who is at first reluctant to help him. 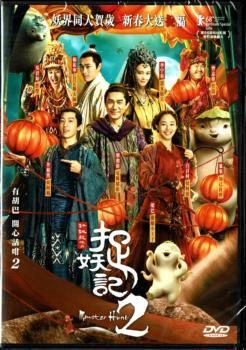 They form a bound along the way and Gu vows to protect him from the new threat. Meanwhile, Yin and Nam get wind of the heavy bounty placed by the dark lord and decide to take on another dangerous journey to save Wuba.